Wine & Spirit Wholesalers of Connecticut was concerned about pending legislation that would allow stores to sell liquor on Sundays. The legislation was hidden in a bill that confused the public and lacked protections for vulnerable small businesses. On the surface, the public was enthusiastic about the ability to purchase liquor on Sunday. But they couldn't see how it would damage mom and pop – until we showed them. 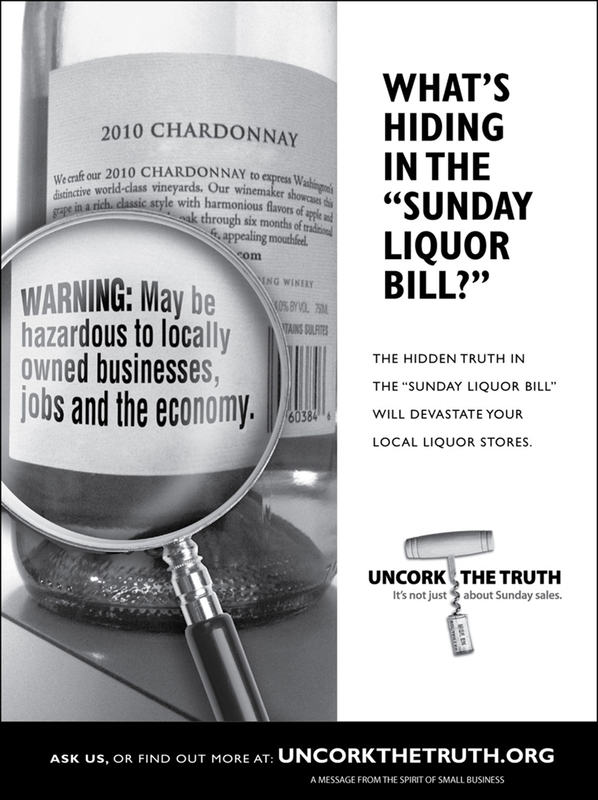 We formed a coalition called “Spirit of Small Business” and launched an aggressive campaign, “Uncork the Truth,” revealing the hidden dangers in the bill. The media attention pressured legislators to meet with the group and study the issue more closely. Ultimately, the bill was modified. It still allowed Sunday sales, but it included vital provisions to protect the interests of small businesses.